This is wrong, why not stay and seek assistance? 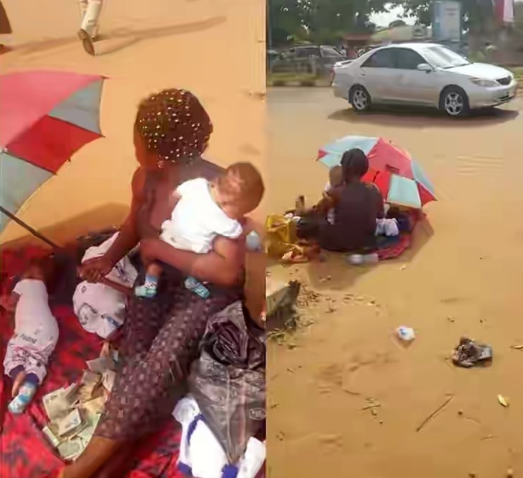 A Nigerian woman and her newly born triplets (two boys and a girl) were spotted begging for money on the road at Rainoil Petrol Station in Asaba, Delta state. 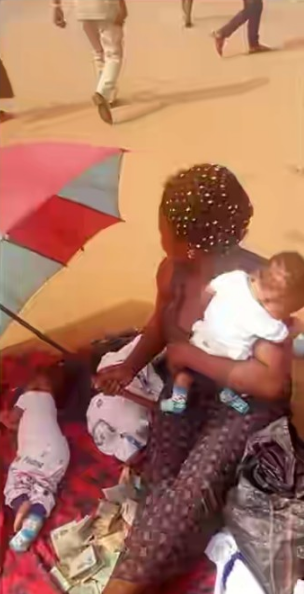 According to reports, she started begging on the road after her husband, the father of the babies, absconded on hearing that his wife gave birth to triplets.